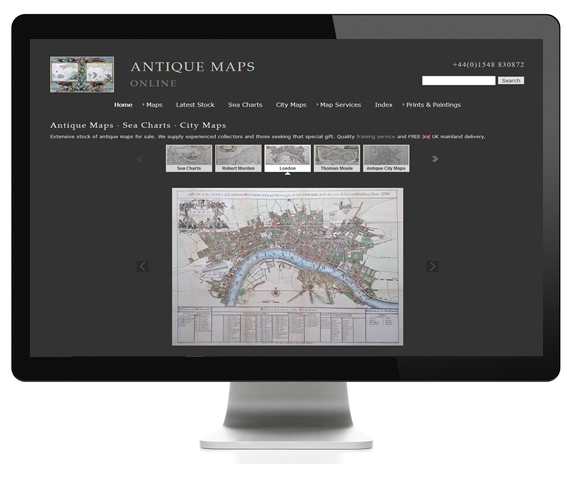 The Brief: Design to accommodate a huge catalogue of antique maps aimed at a worldwide customer base. Includes an integrated framing service and targeted search phrases to maximize exposure to map collectors searching for specific items. The work: Ecommerce, payment gateway, SEO, social media integration, blog, logo, web analytics.